To understand biological health, key indicators and normative levels must be identified and measured. 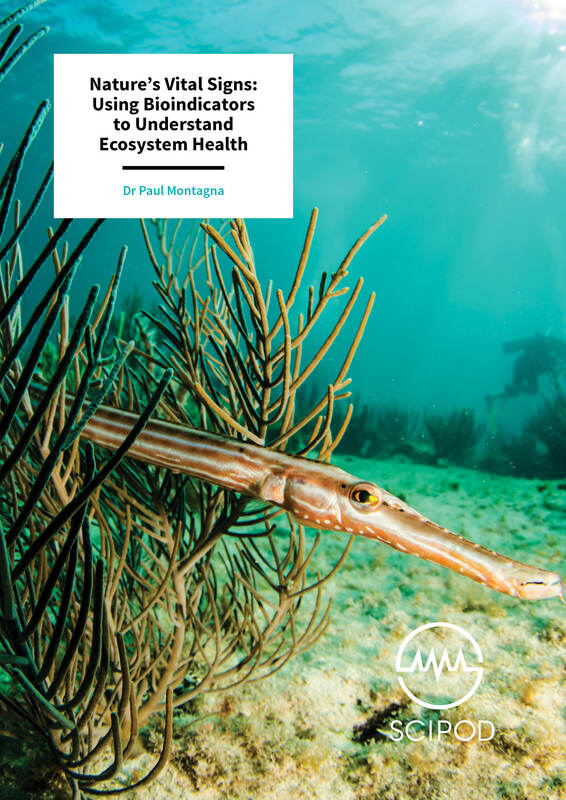 Just as a doctor takes a patient’s vital signs – temperature, pulse, heart rate – scientists must also understand the vital signs of a healthy ecosystem. These vital signs of an ecosystem are known as ‘bioindicators’. A healthy ecosystem should, ideally, fall within an acceptable range of measured values. However, defining acceptable ranges for these indicators is challenging because there is rarely sufficient data to define a healthy or unhealthy ecosystem, and metrics vary quite a lot over space and time. Disturbances in an ecosystem can be chronic or short-term, and the means of assessing the changes may vary. The ultimate measure of an ecosystem’s health is its ability to maintain a balanced, resilient, diverse community of organisms. As vitally important ecosystems, estuaries are under severe threat due to human activity. Estuaries are semi-enclosed bodies of water that are connected to the open sea and diluted with freshwater from land. They act as storm barriers, allow fisheries to thrive and improve marine water quality. Changes to natural water flow in an estuary can compromise all of these functions. In many areas of the world, humans are impacting estuaries by re-engineering coastlines and extracting large amounts of freshwater, reducing the natural flow downstream, to accommodate urban, agricultural, and industrial development and an expanding human population. Without intervention to address such chronic disturbances, these important ecosystems may collapse to the point where it is impossible for them to return to their former health. Short-term disturbances in ecosystems create unique possibilities for measuring ecological health by focusing on bioindicators. Oil spills serve as an example of a ‘pulse event’, a short term, sudden occurrence that causes a short-term disturbance, but they are sometimes not a chronic issue. On April 20, 2010, the Deepwater Horizon offshore drilling rig erupted off the Gulf of Mexico causing the largest oil spill in US history. The spill released an estimated 731 million litres into the Gulf of Mexico over a three-month period. Although sudden, the effects of large pulse event can be long lasting. Continued research and management of these areas, using bioindicators to assess health over time, is critical. 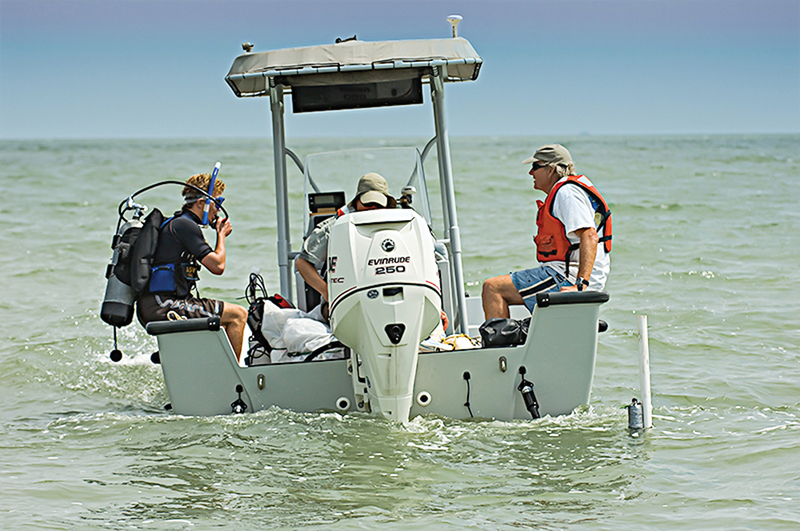 Dr Paul Montagna leads a team of researchers who are working to define ecological health and understand the best ways to measure the health of important natural resources, such as estuarine and deep-sea ecosystems along the Gulf of Mexico. ‘What is ecological health? 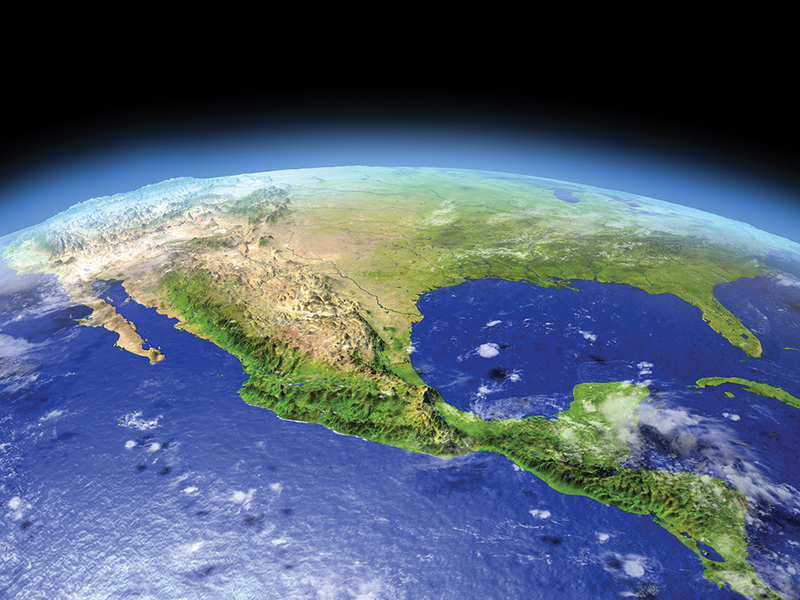 How do we define it and measure it?’ These are the major questions Dr Montagna aims to answer as the Endowed Chair for Ecosystems and Modelling at the Harte Research Institute for Gulf of Mexico Studies at Texas A&M, Corpus Christi. His team’s work highlights the need to understand disturbances to ecosystems, such as short-term and long-term effects of freshwater diverted from estuaries, and the Deepwater Horizon oil spill. Using this approach, Dr Montagna and his team have published extensively in research journals on estuarine health and the impact of oil spills. Dr Montagna has also served on critical committees to advise the National Oceanic and Atmospheric Administration on the Deepwater Horizon oil spill. When the Deepwater Horizon oil spill occurred in April 2010, Dr Montagna led a series of studies to examine the impacts of the oil spill on communities of organisms on the seafloor. Animals in these communities are often sedentary, and are therefore unable to avoid exposure to the oil particles. 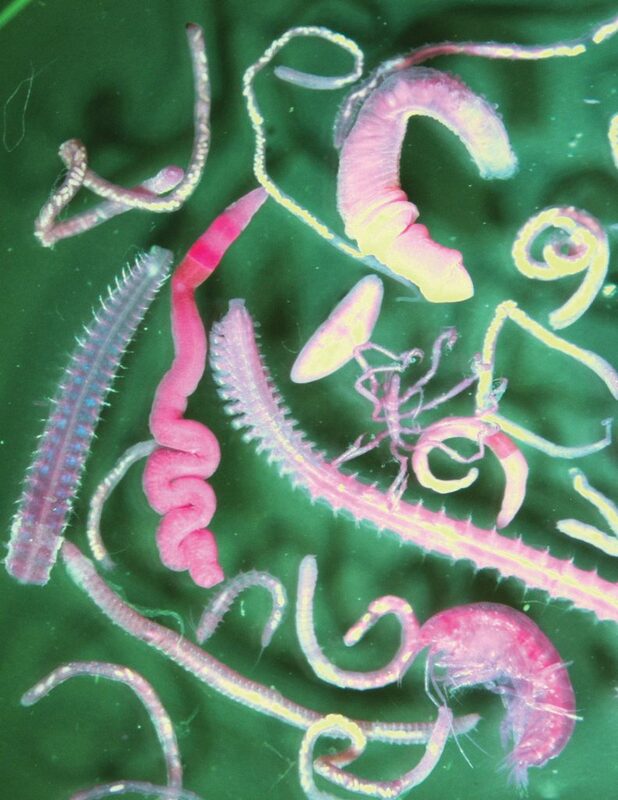 They are vital to the health of deep-sea ecosystems where they decompose matter, regenerate nutrients, and serve as primary food resources for animals higher up on the food chain. Dr Montagna, along with a team of researchers across the United States, set out on large research cruises to investigate differences in communities in ‘impact’ zones, within the oil spill’s disturbance area, and those well outside the limits of the spill. The first cruise took place two months after the oil spill and subsequent cruises were conducted the following year and again in 2014. The team found that community richness and diversity were significantly lower in the ‘impact’ zones where oil particles from the spill were still present. Both larger animals (macrofauna) and smaller organisms (meiofauna) were impacted for years after the oil spill, although the macrofauna recovered more rapidly than other benthic organisms (those found on the seafloor). Their research indicated that the oil spill reached the seafloor and negatively impacted communities on the soft-bottom depth and even deeper in the deep-sea. Four years after the spill, these ecosystems still had not fully recovered, likely due to the toxicity of contaminants associated with the spill. The temperatures and nutrient conditions on the seafloor limit the oil’s ability to degrade, which can greatly affect benthic communities. These communities are critical to understanding the lasting effects of pulse events, serving as ‘the “canaries in the coal mine” and can indicate when something is happening that needs our attention,’ explains Dr Montagna. In a subsequent study, he and his colleagues found that these communities, particularly in the deep sea, will take decades or longer to recover from the spill. Using a similar approach to his work on the Deepwater Horizon oil spill, Dr Montagna’s research also focuses on understanding bioindicators in estuarine systems in his local Gulf of Mexico waters. One major bioindicator of the health of an estuary is the average salinity. Salinity in an estuary reflects the degree to which freshwater dilutes seawater. If too much water is diverted for human purposes, the average salinity of the system will be higher than healthy thresholds for estuary ecosystems. Many of the Gulf’s estuaries are becoming saltier. Salinity is increasing as less freshwater makes it downstream when it is diverted for human consumption. In addition, many coastlines are suffering from land sinking. This is a phenomenon that occurs when too much groundwater is extracted. The dry soil then behaves like a sink hole, and salt water creeps into the surface water and groundwater from the sea, increasing the salinity of the freshwater. To make matters worse, climate change will likely cause more frequent and severe droughts and floods, which will further divert freshwater. This can cause a reduction in organic matter and nutrients in the water, deaths in keystone species, and increased phytoplankton blooms. Dr Montagna and his colleague, Amanda Van Diggelen, have been studying salinity variance (how much the salinity deviates from the average) and how this may serve as an indicator of the disturbance of benthic species. They have found that salinity variance is in fact a better indicator of benthic community diversity than average salinity, which is typically used to understand the health of an estuarine ecosystem. 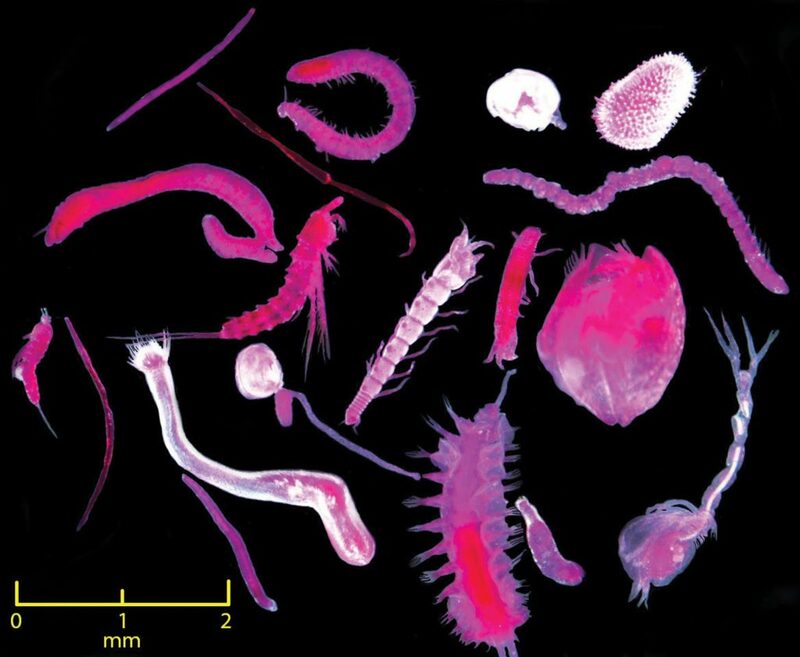 By measuring the health of benthic communities over time, Dr Montagna and others are able to understand whether an ecosystem has the ability to resist or recover from disturbances, both chronic and short-term. Dr Montagna focuses on benthic organisms ‘because they are fixed in place and don’t move if an environmental injury occurs in their vicinity, and because of gravity they are always the first affected.’ This work will help scientists and water resource managers to create mathematical models to predict changes to the structure and function of the estuaries. A diverse ecosystem is considered healthier because there are more species to offset the stress caused by disturbance. ‘A change in diversity is a sensitive indicator that something has changed,’ Dr Montagna emphasises. Community diversity is a strong indicator of ecosystem health, but it is much more difficult to measure than salinity variance. Therefore, Dr Montagna’s team has recommended that water resource managers and scientists instead use salinity variance as a key bioindicator in future studies. Their research reinforces the idea that freshwater flow in areas with high human populations is essential to allow both human and estuarine communities to thrive. Ultimately, water resource managers working with estuarine ecosystems must strike a balance between the amount of water taken from a freshwater system then returned to the system from wastewater and industry waste. However, managing this balance has proven difficult, as human consumption takes priority. One solution, implemented across the United States in places such as The Everglades and Mississippi River, is to strategically time the release of freshwater to estuaries. This solution requires careful evaluation of the water requirements needed from both humans and the natural environment. This approach has caused some backlash, as some similar projects have caused negative impacts on the oyster industry in the past. Another solution involves using existing river diversions to divert water back into the freshwater ecosystem. As a result, conservationists can deliver nutrient-rich sediment downstream, regulate salinity, and improve the growth of vegetation. By nursing the ecosystem back to health, managers are also supporting thriving fisheries and oyster industries. All of these solutions are dependent on understanding the needs and health of the water system by tracking a water system’s vital signs over time. Dr Paul Montagna was awarded his PhD from the University of South Carolina in 1983. After working as a postdoctoral researcher at the University of California’s Lawrence Livermore National Laboratory, he worked as a professor at The University of Texas at Austin for 20 years. 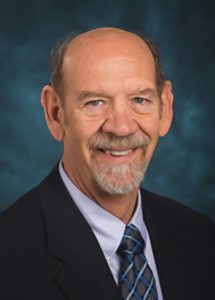 Dr Montagna currently serves as the Endowed Chair for Ecosystems and Modelling at the Harte Research Institute for Gulf of Mexico Studies at Texas A&M, where he has been based since 2006. Dr Montagna is committed to preserving the Gulf of Mexico, by serving on the Texas Environmental Flows Science Advisory Committee and the National Oceanic and Atmospheric Administration advisory after the devastating 2010 Deepwater Horizon oil spill. In 2009, he helped to launch an oyster recycling program, Shell Bank, which works with local restaurants to reclaim used oyster shells to restore lost reef habitat. He recently won the 2017 Coastal Bend Bays Foundation Environmental Stewardship Awards for his accomplishments with the initiative. Dr Montagna is Co-Editor in Chief for the journal Estuaries and Coasts. B Middleton, PA Montagna, Turning on the Faucet to a Healthy Coast, Solutions Journal, 2018, 9, 3. MG Reuscher, JG Baguley, N Conrad-Forrest, C Cooksey, JL Hyland, C Lewis, PA Montagna, RW Ricker, M Rohal, T Washburn, Temporal patterns of Deepwater Horizon impacts on the benthic infauna of the northern Gulf of Mexico continental slope, PloS One, 2017, 12, e0179923. AD Van Diggelen, PA Montagna, Is salinity variability a benthic disturbance in estuaries?, Estuaries and Coasts, 2016, 39, 967. PA Montagna, JG Baguley, C Cooksey, I Hartwell, LJ Hyde, JL Hyland, RD Kalke, LM Kracker, M Reuscher, AC Rhodes. Deep-sea benthic footprint of the Deepwater Horizon blowout, PloS One, 2013, 8, e70540.